Paris, France – Hours after a massive fire ravaged the Notre Dame Cathedral, an outpouring of financial support has seen private donors pledging more than half a billion euros ($564m) towards the restoration of the Parisian landmark. Shortly after an impassioned speech by President Emmanuel Macron, in which he said the full restoration for the cathedral would be “part of the French destiny”, several of the country’s wealthiest citizens opened their wallets to help foot the bill. Energy firm Total promised 100 million euros ($113m), while cosmetics group L’Oreal and the Bettencourt family said they would donate 200 million euros ($226m). Other wealthy families vowed to give a further 20 million euros ($22m). 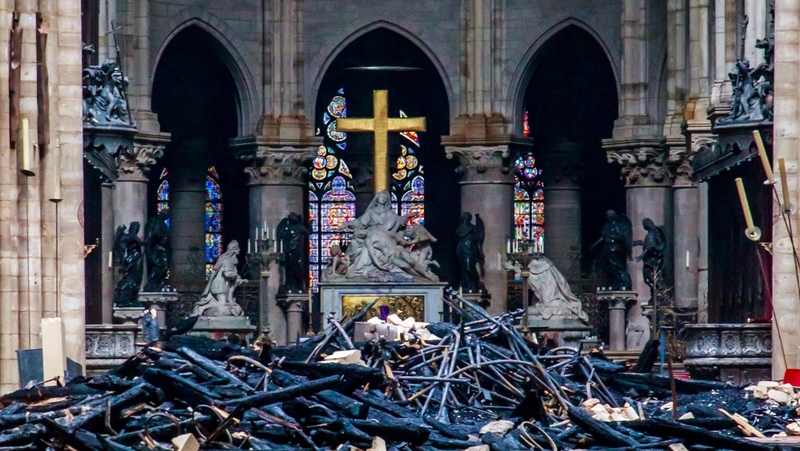 The promised assistance is a welcome – if late – surprise for the centuries-old Notre Dame, whose condition has been deteriorating for many years while the church and city government bickered over who should pay for much-needed repairs. Air pollution has done extensive damage to the cathedral’s facade, eroding the stonework and its famous gargoyles, but it has received only two million euros ($2.2m) a year in state funding – far short of what is required. Since Monday’s disaster, the city of Paris has promised 50 million euros ($56m) for repairs, and the regional government another 10 million euros ($11m). Offers of practical assistance have flooded in from across Europe: Poland’s President Andrzej Duda has extended the service of his country’s reconstruction experts, famed for their restoration of Warsaw buildings razed to the ground in World War II; while the York Glaziers Trust in Britain, which restored the windows of York Minster cathedral when it was gutted by fire in 1984, has volunteered its expertise. Meanwhile, the art and religious treasures that survived the blaze will be transported to Paris’s Louvre Museum for safekeeping, according to France‘s Culture Minister Franck Riester. Some of them will require restoration after being exposed to smoke and water. 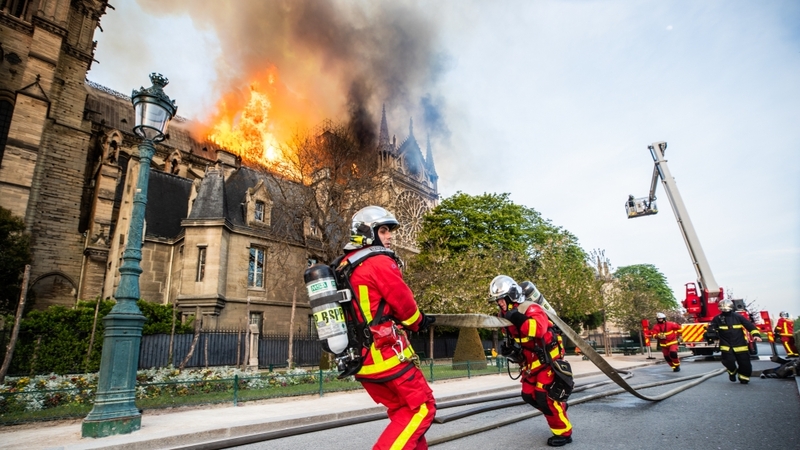 “Emotionally, everyone is devastated and struck, but let’s be clear, the main stone structure of the cathedral is standing,” Jean-Louis Cohen, a professor of the history of architecture at New York University Institute of Fine Arts, told Al Jazeera. Bertrand de Feydeau, the vice president of preservation group Fondation du Patrimoine, told France Info radio that the roof -made from latticed oak beams from 5,000 trees – could not be replicated, as France did not have oaks the size of those felled in the 13th century. But the cathedral’s greatest rebirth lies ahead, perhaps many years from now. “It’s simply going to be a matter of a lot of time and a lot of money,” Robert Bork, an art historian specialising in Gothic architecture, told Al Jazeera. “To do it right requires a lot of handicraft and a lot of man-hours. This is not something you want to do in an offhand or hasty way,” he added. “The building is so iconic and so beloved and I hope that means they will take the time to do it right and do it carefully.